Begin or continue your application here! 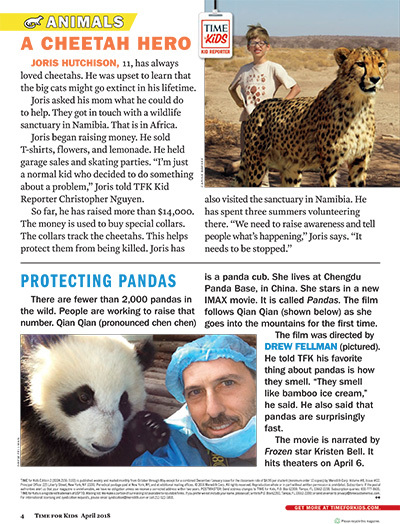 2017 Barron Prize winner, Joris, is featured in this article from the 2nd grade edition of Time for Kids. The Gloria Barron Prize for Young Heroes celebrates inspiring, public-spirited young people from diverse backgrounds all across North America. Each year, the Barron Prize honors 25 outstanding young leaders ages 8 to 18 who have made a significant positive difference to people and the environment.